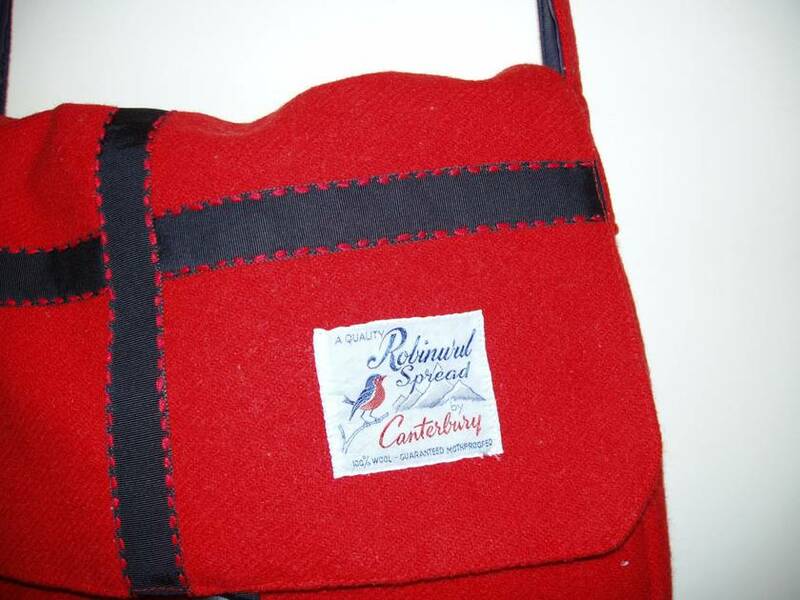 Pure felted New Zealand red wool blanket satchel with original woven label, this bag has a Robinwul of Canterbury label. 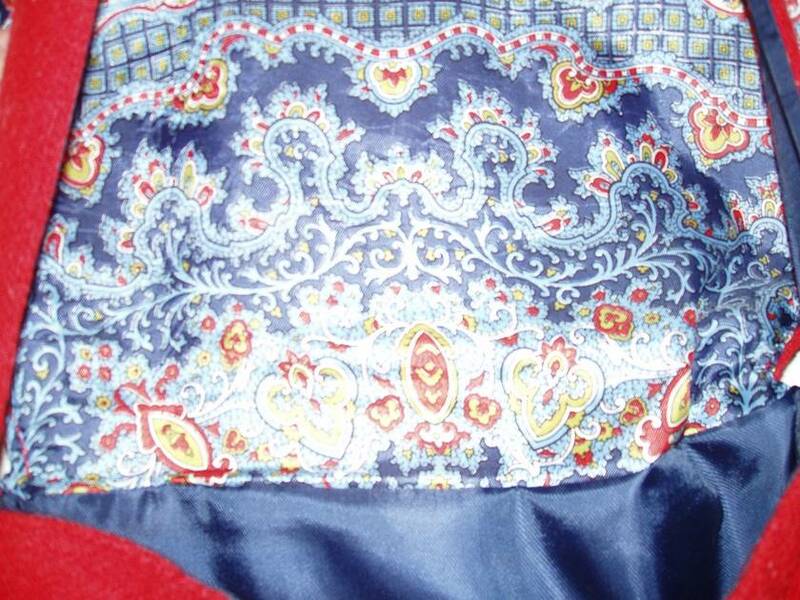 The flap and a little of the back are also embellished with hand embroidered blue petersham ribbon, a dark blue bakelite button closes the bag. 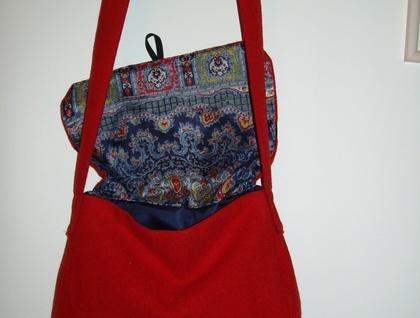 The flap is lined with a vintage scarf; the body of the bag and strap are lined with heavy suit lining and has a 2 compartment pocket which is reinforced with a mother of pearl button. 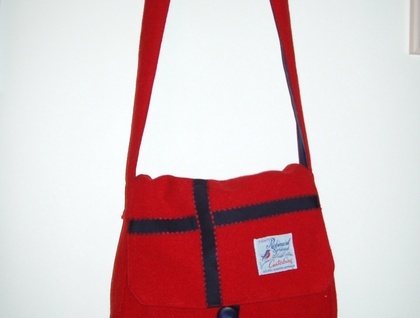 Each bag is reinforced at the front edge, is labelled 'made of stars' and numbered, this one is #13 and measures 33 cm at the top, is 33 cm high, the gusset goes from 7cm to 10 cm at the bottom and the strap is 97 cm long. Almost all the materials used in my bags are gathered during op shop trips, I love the treasure hunting it involves, and really enjoy putting my treasures together to make these delicious satchels.